Rafal prides himself on his happy patients. By helping people make the right decisions about their teeth according to their circumstances, making sure they understand his work and fees and always, always practicing pain free dentistry sooner or later everyone realises they can relax under Rafal’s care. Rafal received a Bachelor in Dental Surgery from the University of Medical Sciences in Poznan in 2000 (known as a Lekarz Stomatolog in Poland) and with experience in private aesthetic dentistry and general practice he moved to the UK with his wife and two children in 2004, establishing Smilecare in Plymouth in 2011. 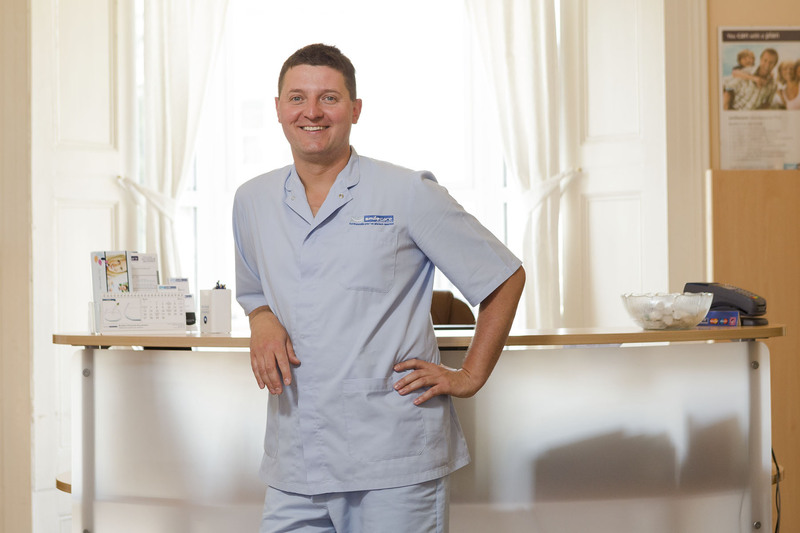 Rafal believes everyone deserves to have a beautiful, healthy smile and tries his best to make it happen in Devon by pricing cosmetic treatments such as teeth whitening, veneers, implants and crowns affordably. He also works with patients experiencing extreme dental anxiety so they can enjoy the benefits of a beautiful smile like everyone else. To find out what he can do for your smile call 01752 663 239 or email [email protected] to book a £25 consultation.